British indie rock's latest "next great hope" release a debut album packed with anthemic sing-alongs and a festival-ready sound, but also hints at greater depth, lyrical range and musical intelligence. It seems that every year British guitar music is blessed with the “next big thing”, a band that critics determine will be the saviour of a scene that has been sinking for the best part of a decade. Some have risen to the challenge and created fantastic records (Foals), others have seen commercial success but in the process seemingly fulfilled so many of the clichés of the genre that arguably led to its downfall (Catfish and the Bottlemen), and some have failed both critically and commercially (Viva Brother). 2017’s early contender for this potentially unwanted title is Reading’s Sundara Karma. Signed to Sony, the quartet’s frontman Oscar Pollock is a refreshingly modern sight in a genre that so often flounders in retro masculinity. This long established trend is particularly baffling when you consider all of the great characters and artistic flourishes that have blessed British guitar music in previous decades, and with the passing of David Bowie and Prince last year, there is a clear lineage to Pollock and his preference for free and colourful self-expression. The purpose of starting with this observation is that it is so important, now potentially more than ever before, that a rock band is original and different, owning its identity and character, and Sundara Karma instantly do this better than so many other contemporaries. Whether the band manage to live up to their billing musically, however, is another matter. The album starts ominously, with the chugging guitars of “Young Understanding” suggesting the almost inevitable disappointment of another failed “next big thing” is to follow. Its tales of youthful freedom and the arena rock sound is well-trodden ground, and while catchy, it is not the track that should be taken to define the album or the band. “Olympia” is their clearest step towards filling a Maccabees shaped hole in the British music scene, Pollock demonstrating his range with a pretty good Orlando Weeks impersonation as he questions “Is heaven such a fine place, we’re floating in a dead town, hoping to find someone to be near” and supported by swirling guitars that suggest greater ambition than the indentikit indie that had initially been threatened. "Olympia" is swiftly followed by the acoustic shuffle of “Happy Family” and Youth Is Only Ever Fun in Retrospect begins to show a musical range that suggests there is more to the band than had first met the eye. Pollock’s lyrics come to the fore here, as he asks, “And if a broken home is on the shelf, you know what we should ask ourselves, were we ever happy acting in a family role." Unfortunately, the clinical polish of major label backing takes the edge of the record and lessens its impact as it feels almost too clean for the emotion of the lyrics and it sadly descends into more stadium baiting swoons. Nonetheless the group's potential is evident and as the album progresses it continues to throw up more hope with each passing track. “Flames” demonstrates the art school element of the band's work, as its lyrics draw on Plato's writings, whilst “Lose the Feeling” sees Pollock shift down his vocal and comes across as Springsteen-esque. Both aim for the anthemic and lack a degree of subtlety but it is worth remembering that at the age of 21 this is an undeniably young band, despite the fact they have been performing together since they were 14. At their best, such as on the standout “Be Nobody”, they are capable of taking a step away from the repetitive chugging of guitars and pounding drums and embracing subtle moments. Pollock sings, “All the kids are ravers now, cause the church is now the club, lose yourself in something just escape, your body’s flaws, baby you don't have to be you anymore.” It's a song that builds tension but never truly takes off, and in the context of the album, this is a welcome surprise. Similarly “Deep Relief” shows more maturity and a tendency towards social observation, with its lyrics drawing on the reliance of the youth of today on technology and media, and in the process birthing the slightly indulgent album title. Given their age it is also not surprising that Sundara Karma make the music they do. “She Said” is a perfect example, a slice of living for the moment, feel good indie that has arguably been missing from the charts for a good while. Their age can also be used to forgive some of the lyrical misteps. Attempts at social commentary in “Vivienne” come off as half baked, as Pollock sings “Wild Eyes, skinny jeans, disengaged at just 19, you and I stuck in the in-between”, a throw away in what is effectively a sweet love song. Further, many of the tracks on the album have been in circulation for years, released as singles or on earlier EPs and this may disappoint longer term fans, but it leaves the feeling that this is the band’s record of growth, tracking their development and leaving them in a position to grow from this debut. They have high ambitions of being an album group, not one focussed on singles and pressured by the hyperbole that is quickly surrounding them. They have also built their live reputation, enjoying slots at Glastonbury and Reading already and their more anthemic moments more than justify this success. However, this sound can rarely sustain an entire album successfully, and while the production sometimes undermines the subtleties of their lyrics, this is nonetheless a promising debut and certainly not the dissappointment many bands previously in their position have produced. Where the quartet takes their sound next will be interesting, as will tracking the fortunes of an indie scene that keeps threatening a return but never quite fulfilling that promise. 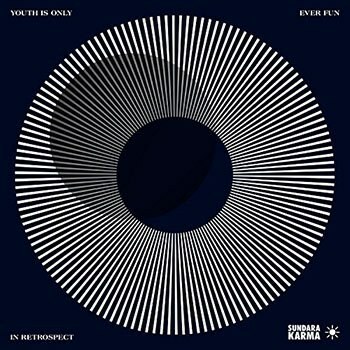 Youth Is Only Ever Fun in Retrospect is a strong introduction to Sundara Karma, with some true high points and it will surely benefit from good radio coverage, a positive critical response and most importantly, strong public support that this young band can hopefully build on.